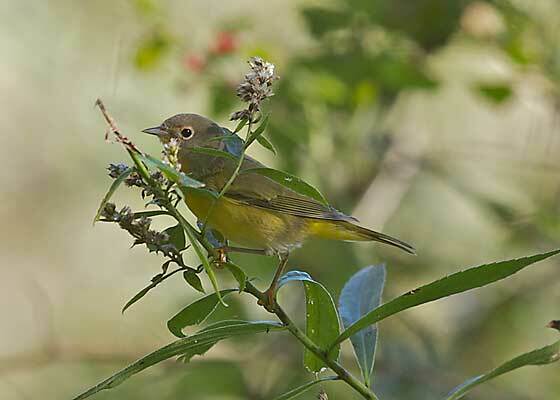 Perhaps the last Nashville warbler of the year passed my way this morning. High-tailing it for Mexico or the Texan Gulf Coast. This bird just doesn't appreciate snow and ice. Interestingly, this Nashville warbler has never even seen frozen water. And it has a timetable in its genes telling when and where to go to make sure that never, ever happens.